Crush Academy is all about giving children the opportunity to touch the soccer ball many times in a pressure free game situation. 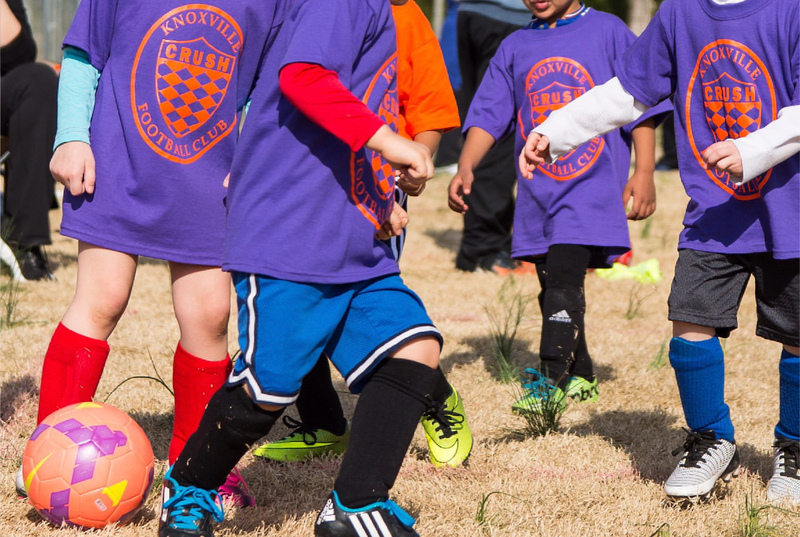 Our coaches are skilled in teaching children the preliminaries of competitive soccer, sportsmanship and team play. We offer children the experience of playing on a team, whilst keeping the focus on player development and keeping it fun. We strive to instill a love of soccer. We will instruct your player on the fundamental skills necessary to develop as an athlete, teammate, and a soccer player. We want to see your child outgrow our program and move onto more challenging teams. We prepare your player for their next steps in soccer or other athletic endeavors. When: Meet and Greet week of August 20th. Training will start August 27th. Games will start September 8th. Ages 3-4 Pre-Mites and 4-6 Mini-Mites will play intra-club games between 9am and 12pm. Ages 7-8 Junior Mites will play games Saturday Mornings against other academy teams within Crush and against other local academy programs. $100 for Pre-Mites (age 3-4) and Mini-Mites (age 5-6) includes two game day shirts. Players ages 3 to 6 years should bring a size 3 soccer ball for practices. Players ages 7-8 should bring a size 4 soccer ball for practices.